A door hidden behind a false bookshelf leads to a fireman's pole and a hidden media room. Batman would be envious. 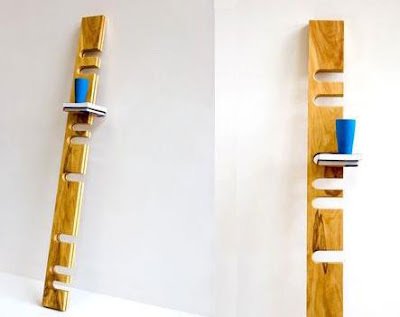 Made from wood and elastomer WaSnake is a shelf whose topology can be reconfigured to suit any specific space or whim. 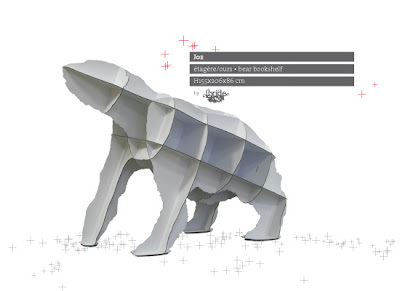 Developed by Jean Louis Frechin and showcased at the International Milan furniture show it is also a luminous digital object and a device for relaying discreet information in the home – comments, addresses, the useful and the playful. WaSnake displays SMS messages sent to the home address as well as news-sheets from the user-selected RSS. 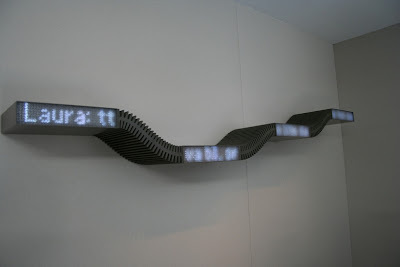 It houses a cluster of coloured LEDs and optical fibres that form a screen. The system is linked to a computer and serves as an interface for selecting and creating information and communication channels. It is also an interface for direct physical contact, by which users choose various display protocols. The operating software is composed of independent units (Widgets) each linked to parts of the shelf. Laica is matter in balance: where motion and stillness represent two different ways of being in a unique elegant essence. 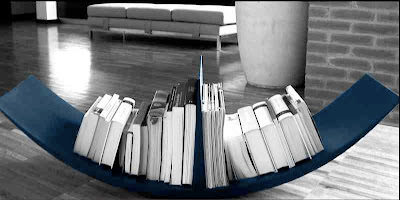 "Joe", pièce maitresse de la collection "mobilier de compagnie" d'Ibride est une bibliothèque en stratifié massif blanc brillant éditée en 50 exemplaires numérotés. Ce site est destiné à suivre chacun des membres de la famille de Joe dans ses périgrinations autour du monde. 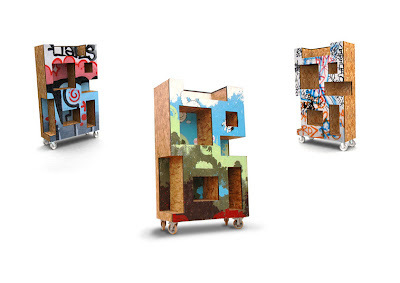 "Joe" is the masterpiece of the "mobilier de compagnie" collection created by Ibride in France. 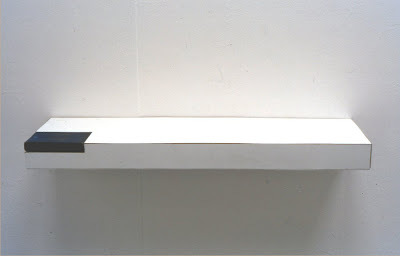 the bookshelf is made of white laminated wood and its production is limited to 50 pieces. This website aims to locate each Joe's brothers and sisters around the world. 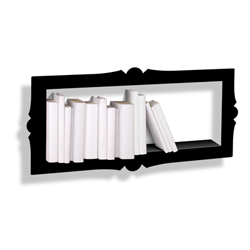 Barok est une étagère livres originale en tôle laquée noire. 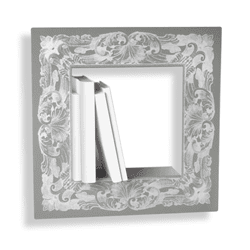 Véritable écrin pour les livres qu'elle est censée contenir, l'étagère barok apporte une touche de déco originale à un couloir ou une entrée. 32x32x8.5cm. Marque : Presse Citron. 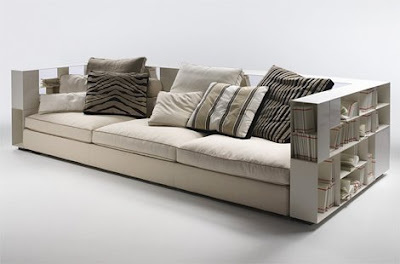 Designer : Clotilde de GRAVE / Didier CHAUDANSON. 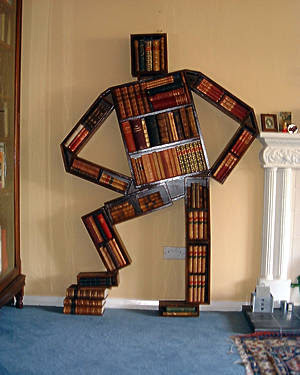 The Bookman is a bookshelf in the shape of a man and is a highly decorative piece of furniture as well as a sculpture. Designed by East Anglian artist Kazmierz Szmauz who also designed the CDMan, the DVDMan and Videoman. However, as booksellers we regard Bookman as his highest achievement. 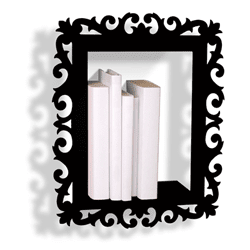 The Bookman holds about 100 books and looks most splendid when they are leatherbound books which we can also supply. 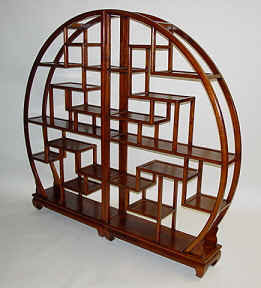 He measures 70 inches high by 45 inches wide and is made from Mahogany, although other woods can be used. 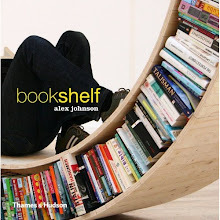 Shelves are best adapted to books beneath 8 inches in height. 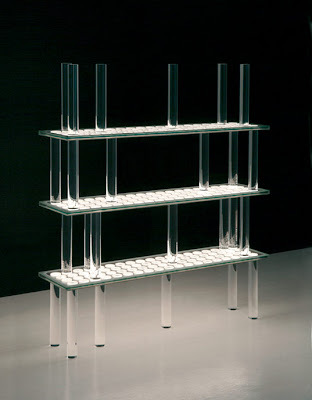 Achille Castiglioni's Joy Rotating Shelf Unit. 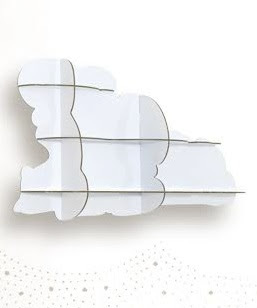 Honey-comb core shelves, with steam-treated beech finish, natural colour or made of medium density fiberboard, finished with scratch-resistant embossing in the colours shown in our colour card. Black or aluminium colour painted steel supporting joints. 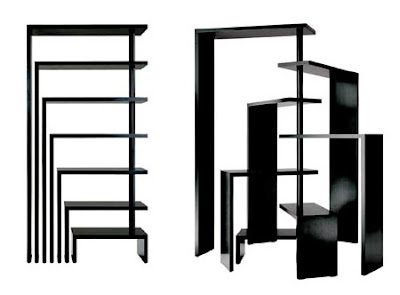 35 million units have been sold worldwide of the IKEA shelf Billy – making it the world’s biggest seller when it comes to shelves. Following the slogan Pimp my Billy ding3000 have devoted their creativity to this classic IKEA piece. 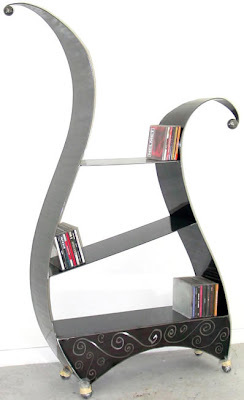 Billy Wilder meets one’s primary expectation of a shelf – to put everything in order. 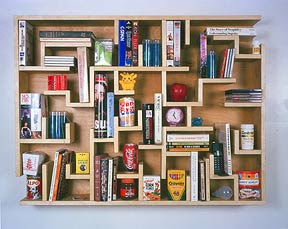 It is meant as a playful approach to the subject “our daily mess” and shall serve as an interim storage place for unsorted books, magazines and newspapers. The wildly growing rack makes Billy “wilder”. 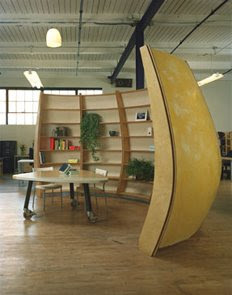 It is a 12' diameter, asymmetrical, rounded bookshelf that separates a gathering space on the inside from the office space outside. The space triples as an overflow conference area, the library and the office gathering/eating area. 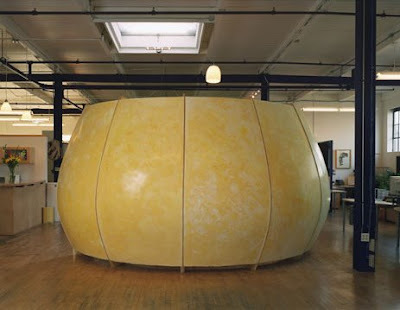 The structure is made of oiled, marine grade plywood and covered with metal mesh and plaster. The outside is plastered with hard troweled, Venetian plaster with a deep yellow/gold pigment, evoking the sun, the core of Powerlight's business. 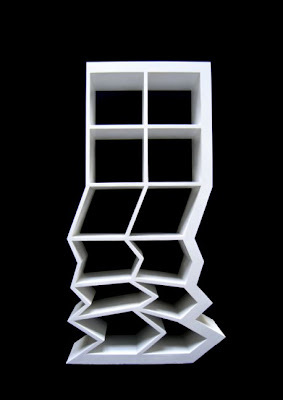 become your own master illusionist with this amazing bookshelf from the good folks at umbra. 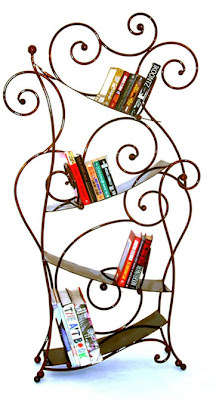 introducing the flybrary. this item will have all your friends puzzled. 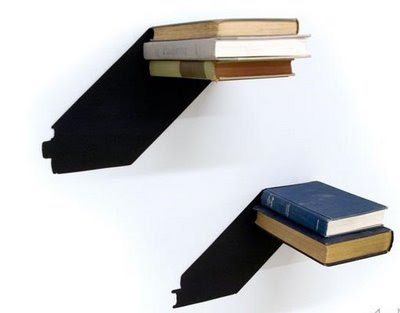 cleverly designed by satina turner, this powder-coated metal, wall mounted bookshelf will have them scratching their heads. 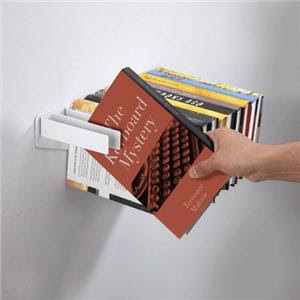 books hang on metal strips to create the surface of the shelf as well as the levitating effect. dimensions: 15" x 5.5" x 5"